Nice, medium sized coffee table. 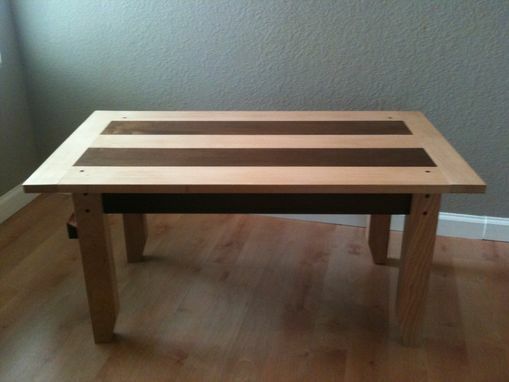 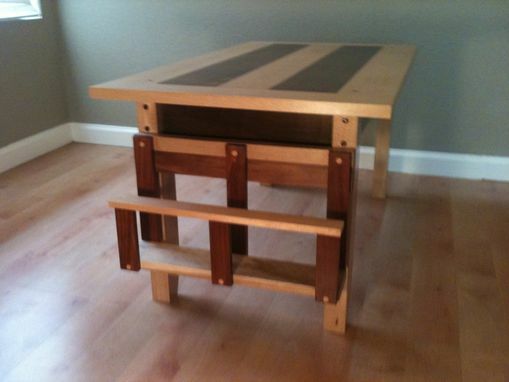 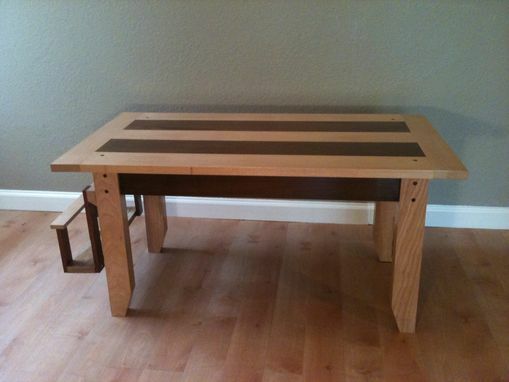 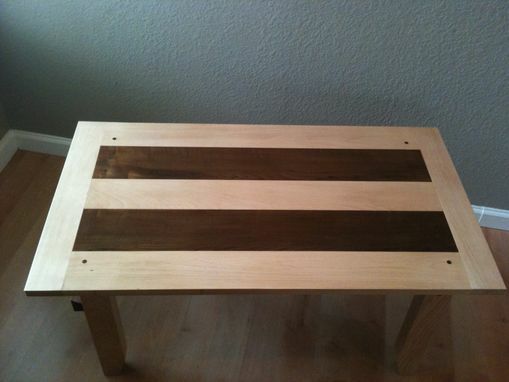 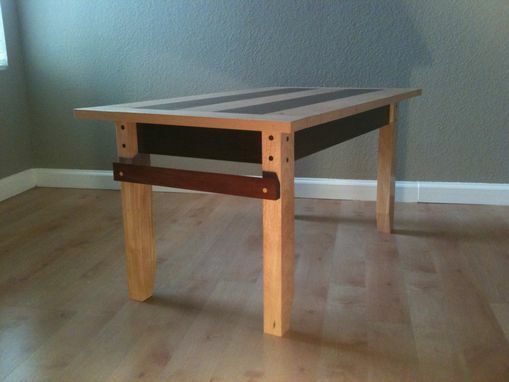 This table is constructed of solid wood boards that start off as rough cut planks from a saw mill. 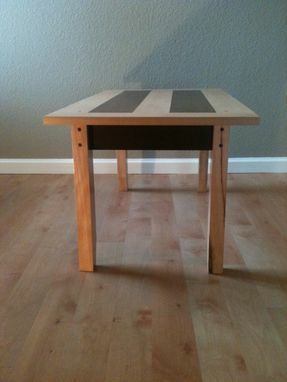 All maple pieces match nicely because they were cut from the same rough board, same with the birch. 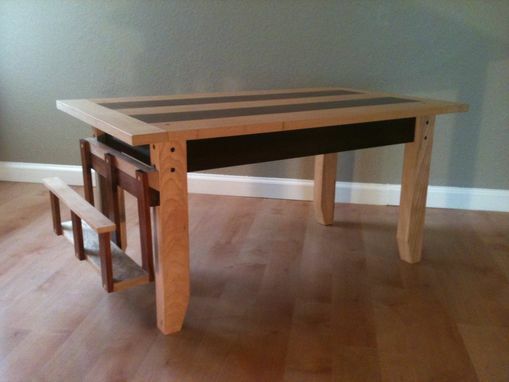 The mahogany piece on the side is an optional piece used to mount a magazine rack.